« Jesus Evolved From an Angel? It may sound like a quibble but when we come to later Jewish apocalypses (in future posts) we will see that it is important to register the fact that Ezekiel does not say he is seeing God himself in the form of a man, but that he is seeing “the glory of God/Yahweh”. God is manifesting his glory in a human form. This man proceeds to speak to Ezekiel, addressing him as a mere mortal (“son of man”), commissioning him to be his prophet to Israel. Then we come to Ezekiel 8 and something a bit more interesting happens. Again the Lord/Yahweh comes to Ezekiel and again he sees the same “figure like that of a man”. If before this figure was the “glory of the Lord” here the text reads as if the same figure is the Lord. This human figure took hold of Ezekiel’s hair and carried him away (in vision) to the Jerusalem temple. There that human figure proceeded to take Ezekiel on a tour around the troubled spots of the Temple where various abominations were being practiced. In the following chapter this human form of God or the Glory of God orders angelic figures to carry out judgment. In chapter 10 the scene continues and this time the human figure is said to be (again) the glory of Yahweh. The human deity thus has two identities, or at least the two identities appear at times to be indistinguishable — Yahweh and the Glory of Yahweh. He comes down to earth, gets off his throne, speaks with his prophet, and commands his angels. Now we come to Daniel 7 and the first of a number of scenes that clearly owe some of their images to Ezekiel. Again we have the contrast between animals and the human figure in that the one who appears as the Son of Man in Daniel’s vision follows visions of the downfall and judgment of four wild and savage beasts that represent cruel earthly kingdoms. The Son of Man figure here is coming in the clouds (as God usually does) towards the high God, the Ancient of Days, who has taken up his seat on one of the thrones. The Son of Man appears to be coming to given the authority to sit on the other throne, presumably beside God. Indeed, the Son of Man is given the same type of transport usually assigned to God so it appears that this is also a divine figure. Some scholars have suggested that Daniel is going so far as to describe what we would think of as two gods. Recall that the human figure has already been established as the glory of God or even God himself in the text of Ezekiel to which Daniel is here and in other ways indebted. Here, however, the human figure is separated out from the one God where Ezekiel introduced him. This time the human figure acts independently of the high God or Ancient of Days. It would appear that we are very close to the idea of a celestial Messiah figure as a second divinity. But then Daniel goes and throws a spanner in the works. Or so it seems. When explaining the meaning of the vision he informs us that this Son of Man figure is symbolic of a collective people. I approached one of those standing there and asked him the meaning of all this. “So he told me and gave me the interpretation of these things: ‘The four great beasts are four kings that will rise from the earth. But the holy people of the Most High will receive the kingdom and will possess it forever—yes, for ever and ever.’ . . . .
the Ancient of Days came and pronounced judgment in favor of the holy people of the Most High, and the time came when they possessed the kingdom.’ . . . . Thus Daniel makes it clear that the Son of Man here is a corporate symbol. The same book speaks of martyrs in Israel who are refined and shine like stars forever (Dan. 12:3, 10) so some scholars believe Daniel is interpreting this Son of Man as the symbol of the resurrected saints. Further, if this is the case, it is possible to see this passage in Daniel depicting the apotheosis of those saints. They, represented by the Son of Man, are to come to God in the glory of God and to sit with God. Daniel’s Son of Man is a personification of Israel, or at least of a purified (remnant of) Israel. A similar idea is found in Isaiah where the Suffering Servant is evidently a personification of suffering Israel (Isa. 53:12). Next, the book of Enoch. I bypass for now the various arguments for the dates in which the key passages of relevance here were written. I will only mention that there are respectable arguments for chapters 37 to 71 (the Similitudes or Parables) being written in the first century as a reaction to the Fall of Jerusalem and the destruction of the Temple in 70 CE. If not, there are arguments that the ideas expressed in those passages were certainly circulating around that time. The Book of Enoch takes the Son of Man, a corporate symbol in Daniel, and turns him into a clear individual. He becomes identified with the “historical” patriarch Enoch who, we will learn in the course of the Book of Enoch, become an immortal being in heaven. 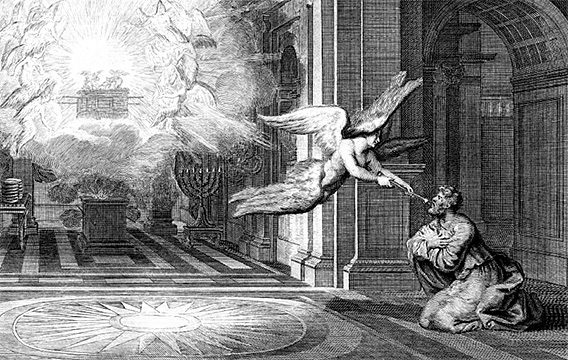 In 89:70 Enoch sees the scribe in a vision and readers presume this is an angel. (In Ezekiel 9 and 10 God was giving judgmental instructions to an angelic scribe.) Tradition has decreed that this angel is indeed Enoch himself, as is apparently clear in chapter 92. 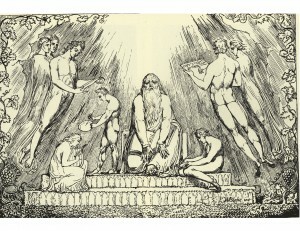 Enoch himself becomes the celestial witness of God’s judgement. Enoch is identified as the Son of Man who judges the world and delivers Israel. The Son of Man is a heavenly Messianic figure, a Messiah, in the person of Enoch. The Talmud forbade the worship of Enoch. We may take that as an indication that some Jews had indeed worshiped Enoch. There was apparently a Jewish cult of Enoch, “the holy redeemer of the world”. Luke 9:19 suggests that there were ideas extant that one of the prophets of old was to rise up, perhaps as the Messiah. The argument here is a suggestive one. I cannot prove it. I have just hit the highlights in the better known texts here. Several New Testament scholars in particular insist that Christianity owes nothing of substance to such a tradition and some even deny there was any such tradition of any significance within Second Temple Judaism. Other scholars who specialize in these Jewish texts (and I have not referred to others here, such as the Assumption of Moses) do indeed speak of a strand within Judaism of this period that does lean towards a binitarianism or even ditheism. Enoch — the Son of Man is a Messianic figure, a righteous judge, and a “historical” individual who become immortalized in heaven beside the Ancient of Days; he is depicted as judging the sheep of Israel and being led by a ram (traditionally Elijah). Gospels — the Son of Man is a human Messianic figure who comes to announce judgement and offer salvation before redeeming Israel by being offered as a Passover lamb sacrifice; his blood, like Isaac’s and the Maccabean martyrs, atones for sins of the nation. Okay, I have tossed in a few details that I did not cover above in that summary. I have discussed some of them before in posts and will return to explain some more details in future ones. Posted on 2014-07-08 14:09:47 GMT+0000 by Neil Godfrey. This entry was posted in Enoch, Messianism and tagged Ancient of Days, Ezekiel, Son of Man, Yahweh. Bookmark the permalink. It seems simple enough to say that 1) many parts of the Old Testament, like many religious books, suggest that many various human beings – typically prophets, angels, whatever – are designated by God, to act for him, in one capacity or another. At times, 2) this assertion that God acts through human persons, even shades into hints that God himself is rather like a human person himself in some ways. So it is easy for God to appear to us, inside of people. (Over and against most animals of course. Though there appear to be some sacred animals too). Specifically though, which Jewish human figures might be most important, most intimately related to God? The ones you name would be a few of dozens of possibilities. Arguably any and all of the prophets would be agents of – even manifestations of – God. Though among the prophets, traditionally the favorite candidates would probably be Elijah, Ezekiel, and Isaiah. Who’s my favorite? Impossible to say. Right now I’m interested in probably inspirational figures outside Judeo-Christianity. Like say the Buddha. Or the seventh son in 2 Mac. 7. Within Judaism? Take your pick. The prophets seem like an obvious first choice. But in spite of their flaws, the kings like David and Solomon might be considered too. Outside Judaism, is Darius. And the more positive Pharaohs. I don’t think the earthly prophets like Elijah, Ezekiel or Isaiah or others are depicted as “manifestations of God” himself. What passages are you thinking of? Undoubtedly you are right. “Manifestations” is to strong a word. Rather prophets at most, manifested or defined or expressed his nature and will, through their words. Though for that matter, if you are interested in a human “lord” in the OT that might have served as a model for the OT god? Consider Darius. The good Persian lord over displaced Jews. Who allowed them to rebuild the temple. It always puzzled me how, in the gospels, only Jesus spoke (in the third person) about ‘the Son of Man’ (ὁ υἱὸς τοὺ ἀνθρώπου) and almost always in the future tense. If after all he was talking about himself, it smacks of Bob Dole on the ’96 campaign trail…. Also, what about Seth as Son of Man (= ben-‘Adam)? Many Syrian Gnostic works suggest as much (not to mention that Seth is literally Adam’s son according to Genesis). Jesus depicted as speaking about himself in the third person is widely interpreted as an effort by the evangelists to place a well-known saying into the mouth of their narrated Jesus. There is much I have avoided in this post. Too much to cover at once. I hope to cover more of the data in coming months. his own angels. (echoed in Matthew 16:27, 24:31, 25:31). especially uses “sent” many times in reference to Jesus. John 15:26, we can interpret Jesus’ reference to the “Spirit” as an angel? can drastically alter our modern interpretation of the New Testament. Each of the gospels has its own viewpoint of Jesus. The Gospel of John, for example, depicts Jesus as an overpowering divinity always in complete control of all that happens to and around him; Luke, on the other hand, portrays him as a righteous martyr — the most human-ish portrait of all. It took some time and politicking before a single concept of Christ found its way as “the” orthodoxy. You cant forget malachi too. Where there’s brief summaries of a messenger spoken of coming by the Lord God before the NT begins a page later. If I recall correctly, I remember reading some parts of the Talmud that have some warnings about the text of Ezekiel, as though they knew that ruminating further on its implications would lead to dangerous thoughts and/or heresy. Maybe those ancient rabbis also saw the link between Ezekiel and nascent Christianity? Interesting. That supports the arguments that Ezekiel was part of a strata of Judaism that opposed the faction that was eventually represented by the rabbis. Who, what, comes down to earth from heaven? Angels are one thing. Possibly the notion of prophets (leaving and returning?) in fiery chariots was not entirely accepted. Though? Curiously though, to turn this around: “the most worthy sages” considered it. In any case, the main idea we’d probably be interested in were “angels,” not prophets say. And/or God himself returning; possibly out of the heavens. Which seems more acceptable. Who else, what other holy figures, come down from Heaven? Chris Rollin’s latest video from a recent conference, on “Satan,” notes that Satan in effect may have been an angel who worked for God in Heaven. In Job, Satan makes suggestions … and God allows them. 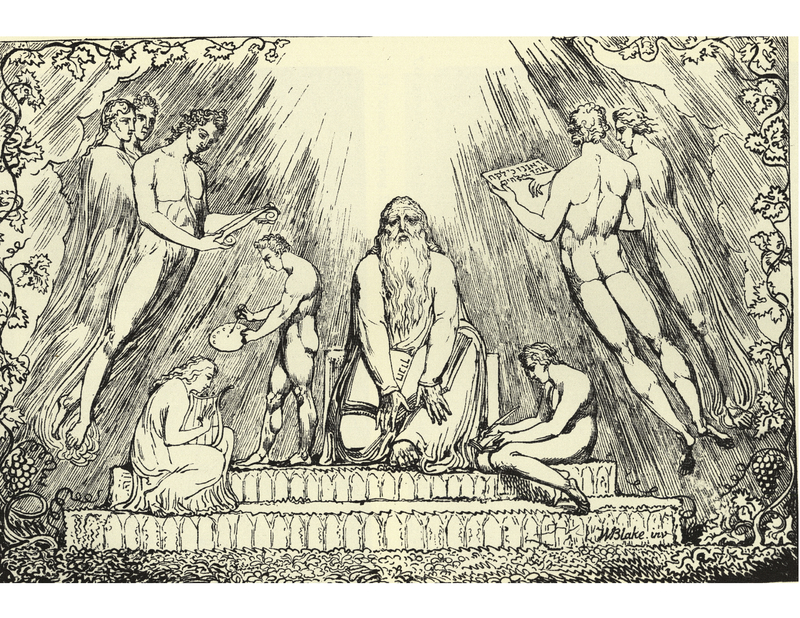 While angels or messengers or “consorts” were often related to the gods; as sons or princes. In part though, they seem to fall down to earth, flesh, as punishment for not cutting it in heaven. Interestingly? Satan is said to come down from heaven to earth – and so is Jesus. Here there would be a model for an angel coming down from a Platonistic heaven. Down to earth and fleshly – Jesus like – form. Perhaps as punishment? Was Satan (and Jesus?) a son, angel, consort of God, gone bad? Come down from an ideal heaven … to mere material form on a flawed earth? Sent down for having failed to live up to the heavenly ideal? Neil, I appreciate the work you have done and the often overlooked nuances involved in the study of Christian origins. We have a consensus, I think we can say, that the Jesus of the Gospels is myth with perhaps a historical core. While quite a lot of effort has been spent in Jesus studies to excavate the historical seed, less effort has been put into the evolution of the mythical Jesus that we find in the New Testament (and other early Christian works not included in the canon). Your work in these last couple of posts helps to fill that gap. I feel you are not so inclined, but I agree with the poster above who suggested a book, at least as a culmination of your study to date, so graciously shared with us all over the years. If we begin to look at the question of how the mythical Jesus was pieced together, or how the accretion of myth to the real Jesus occurred, I think that direction of study would yield profitable (I mean to our knowledge, not necessarily our bank accounts) results. This is true whether we find from this deeper study that Jesus probably existed or not. Thank you for the interesting posts! Re: the idea of the manifestation of the “glory of the Lord” – this seems to me to have some connection to the longstanding Eastern Orthodox theological tradition of a distinction between God’s “essence” and “energies” – both considered “uncreated” and hence truly God, but the former is God’s invisible inner being, while the latter is regarded as a visible manifestation of his power. The 14th-century Byzantine theologian Gregory Palamas became the man most associated with the development of this idea when he successfully deployed it to defend a group of monks who controversially claimed to have seen an “uncreated light” while practicing a form of contemplative prayer. They equated this light with the light of the Transfiguration and the Burning Bush (the “glory of the Lord”?). While his opponent Barlaam of Calabria argued that this was blasphemous, Palamas said that what they had seen was in fact none other than the energies of God – not a “hypostasis” like the Father, Son or Spirit, but literal divinity of a distinct sort. There’s been controversy over Palamas’ theology for centuries – Palamas himself supported his ideas by referring to the Cappadocian Fathers, whom he claimed had implicitly expressed the same concept. While Orthodox revere Palamas the way Catholics revere Aquinas, non-Orthodox scholars and theologians seem to have rather hotly contested the merits of his patristic interpretations; some see his readings as legit, others see them as a case of unsupportable eisegesis. I am fascinated by all this because it suggests to me that some non-Christological notion of a “glory of the Lord” which is distinct from “the Lord” himself, and yet still literally God, was either preserved or recovered by Christians. (Did the “glory” somehow become bifurcated into the “person” Jesus and the less-personal energies?) I myself haven’t read Palamas and have no idea whether Ezekiel figures in his thinking at all, but it would not surprise me in the slightest to find such passages cited by him. Of course, I’m not at all sure that my limited understanding of the E-E distinction is very accurate. So take all that with a big grain of salt. Possibly the notion of a spiritual side to God, in Heaven – and perhaps his “glory” – came from Platonism. Plato, c. 350 BC, supposed in his famous Theory of Forms, that things here on earth were just imperfect, perishable “copies” or fleshly “shadows” of the immortal, perfect shapes, forms, ideas, or “paradigms,” in heaven. So for example a round orange here on our breakfast table, would be a rough copy only, of an ideal Sphere. A perfect shape or form, that was presumed to exist in heaven. That model was said to be immortal. Whereas the inferior orange would rot and “perish,” as Paul would say. We ourselves on earth might be seen as imperfect perishable copies of an ideal God in heaven, too. This Platonistic model was extremely influential in philosophical and religious thought. We can see it clearly in Neo-Platonism. And in Paul’s Hebrews. It also seems to be the background for the religious notion that even Jesus or other Christians might be merely “flesh”ly copies of the immortal Form of God – or say, Glory of God? – in Heaven. Normally Jesus is seen to be perfect in his own way. Yet he seems all too human at times. He is visible. He suffers and dies, for example. Possibly it was thought though they he somehow had a “soul” or spirit that corresponded to the ideal form in heaven. Possible – being very speculative here – that soul would correspond to his “glory” or certainly spirit. It might be that a bifurcation between the notion of an ideal Old Testament God (and the Spirit), versus a more suffering and human lord, like Jesus, took place when the Romans started looking hard at their local rulers. And realizing that their “lords” were not quite always, necessarily, the “gods” they sometimes claimed. This was the issue in fact, in at least Shakespeare’s “Julius Caesar.” For millennia, the people often thought of their local lords as gods. The Pharaohs had even insisted on it. So did some of the Roman emperors. But in the early days of modernization, many began too see our “gods” often had feet of clay. Our alleged local “gods” were just human beings. (This was the issue with Julius Caesar. Who was taken out, in part for trying to claim emperor status, and even godhood.) At this point, thinking about “gods” was beginning to bifurcate. People began to think they had 1) perhaps ancient wonderful invisible father gods or invisible spirits. Vs. 2) new, local, human lords. Of somewhat more human – or in biblical language, “flesh”ly, earthly – status. This explains the emerging difference between the 1) OT god, and 2) the obviously more human rulers, like Jesus. Who is seen as at best, the human, “fleshly” manifestation. Of an earlier ideal (and by then invisible) master “God,” like the former “father.” The figure of “Jesus” was therefore a way of addressing this new split concept. Of a 1) former heavenly father, vs. 2) somewhat more human, even suffering lords here on earth. It is commonly said in theology that Jesus was a more earthly, “flesh”ly, human manifestation of the godhead. This may indeed have been the defining difference that contributed to his distinctive legend. But it was in turn part of a larger moment in growing social awareness. And early Humanism in effect. To try to deal with the contrast of this new perception of a lord, with ancient ways of thinking, it was said that Jesus was the “son of” or human earthly manifestation of, (or perhaps a “messenger”/angel of) a former, ideal God.